An update. I registered a complaint on their web site and received a reply from the former landlord, Paul Outhwaite, who left the pub in September 2012. The new landlord is probably unaware of the web site, and most likely couldn't care less either. There has been no food at all since Paul left. I complained to Marston's about the misleading web site but never received a reply. Basically now looks like a failing local where strangers are not made welcome. When a pub eulogises about its food offering on its web site, I guess I should be suspicious of the quality. However I would at least expect food to be available. According to the unfriendly landlord they hadn't done food for over 6 months. As previous reviews were positive, including about the food, I can only assume a change of licensee. Nice place, couple of ales and food available. Sports on the telly in the bar, lounge much quieter. In my opinion it looked like the sort of place the more well-heeled or more mature in the locality may prefer. 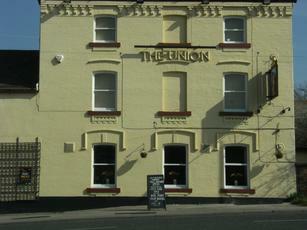 The best pub in knaresborough, great landlord and landlady and next to the home of the greatest cricket team in ......... knaresborough! !